If Shoaib Mansoor’s Khuda Kay Liye encouraged Pakistani filmmakers to make films then Nabeel Qureshi’s Na Maloom Afraad gave them a Pakistani formula of a masala film. This formula is all about a colloquial story, interwoven in the true Pakistani spirit of facing hardships with a smile, garnished with the right amount of romance and drama. Yasir Nawaz’s Wrong No.tries to imitate the same, but fails to get the combination right, despite offering flashes of brilliance. Sallu (Danish Taimoor) belongs to a family of professional butchers but doesn’t want to enter the family, profession to pursue his dream of becoming an actor. His family is a funny portrayal of the Pakistani lower middle class where the grandson’s bowel movement is associated with the grandfather’s yelling. The louder and sooner he yells, the better it is for the kid who keeps on shouting till he is relieved. The grandfather, known as Hajji Abba (Javed Sheikh), wants Sallu (his son) to get a job but the friction between father and son keeps on persisting till Sallu decides to run away from home. What follows is an often funny and sometimes boring comedy of errors, juxtaposed with forced songs, and a plot that is well constructed but borrowed from various Bollywood films. The strength of Wrong No lies in some of its very strong and engaging situations that surgically carve the humour out of everyday Pakistani life. Be it the untimely circumcision of a five-year-old and his whining at the travesty that is being done to him or three unkempt, bulky guys walking down Heera Mandi and being confused for pimps. It is situations like these that keep ‘Wrong No.’ afloat, which could have otherwise drowned in the swamp of poor performances by all the lead actors. Danish Taimoor gets a lot more screen time than he does in Jalaibee and arguably a lot better script, but he still doesn’t feel at home on the big screen. He is yet to embrace the power of a close up on cinema and continues to remain very camera conscious in general, being unable to pull off a single lengthy dialogue with ease. Sohai Ali Abro on the other hand, doesn’t have much to her character as Laila, yet her girl-next-door attitude often turns out to be an out and out case of over acting. Same goes with the other female lead, Janita Asma, who plays the role of Haya. Though the role demands her to be a touch clumsy, carefree and outspoken the shriek in her dialogue delivery makes her more irritating than candid. What actually keeps the film’s heart beat ticking is the ensemble of side characters, which light up the screen whenever they are featured. Wrong No is proof that not only is Sheikh aging gracefully, he has also mastered the art of grasping an alien character with time. Not only does he justify the character psychologically but also in terms of adapting to its physical nuances, such as chopping the meat with perfection. A special mention must be made of the trio of Danish Nawaz, Nadeem Jafferi, Atif Shah who provide constant relief with their immaculate comic timing. One particular moment that you should look forward to is the super lazy chase sequence between the trio and a bunch of sluggish policemen. This is also one of the rare places in the film where sound actually adds to the visuals and not just seem like background noise. Unfortunately, the film doesn’t have much to offer beyond the short spells of comic relief and nosedives after the interval. It is flooded by so many clichés that have been reinstated on us time and again that one can’t contain a yawn, and needlessly fancy item number Selfiyan doesn’t turn out to be the saving grace either. 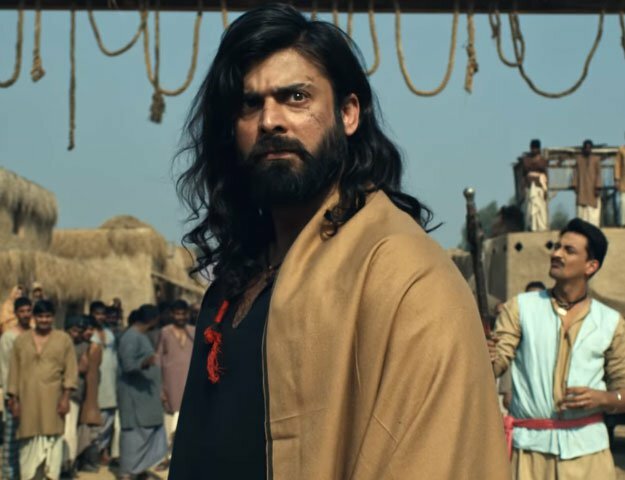 All in all, the film has the potential to have its own standing at the box office and will not necessarily rely on the footfall of Bajrangi Bhaijaanor Bin Roye. Verdict: It is the small moments and performances by the side actors that make an otherwise ordinary film a joyride. Beyond that, it is a test of your bladder and brain, whatever lets go first.